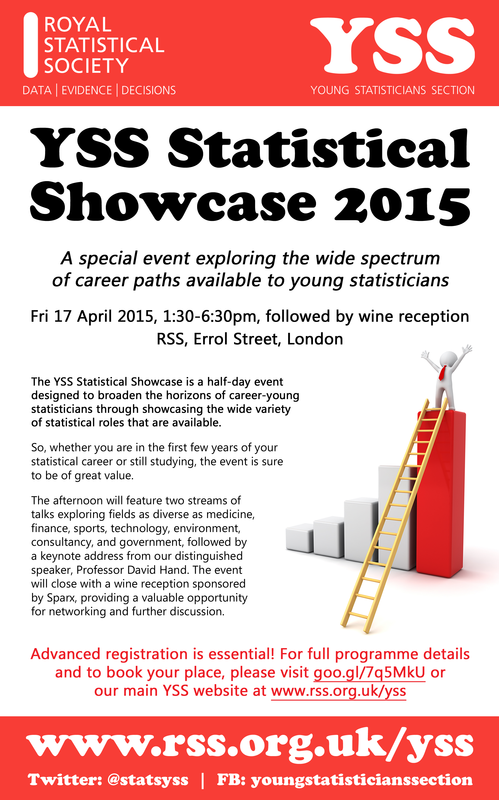 The YSS Statistical Showcase 2015 will take place on the afternoon of Friday 17 April 2015 at RSS Headquarters (Errol Street, London), followed by a wine reception. Please click the image above for further details! The schedule for the event and registration form are now available online: please visit the StatsLife page here. UPDATE (15 April 2015): Registration and payment will now also be accepted in person on the day – either by card, cheque, or cash (exact amount only) – between 1pm and 2pm. Please note that the event kicks off at 2pm. The keynote speaker will be Professor David Hand. 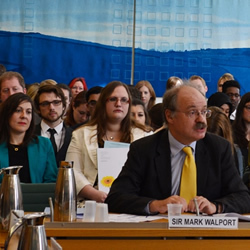 On 4 March 2015, two members of the YSS committee – Tim Paulden and Silvia Liverani – attended the annual Voice of the Future event at the House of Commons, where a panel of young researchers aged between 16 and 35 is given the opportunity to quiz a variety of key political figures, including the Science & Technology Select Committee and the government’s chief scientific advisor. For further details, please see the StatsLife article here. 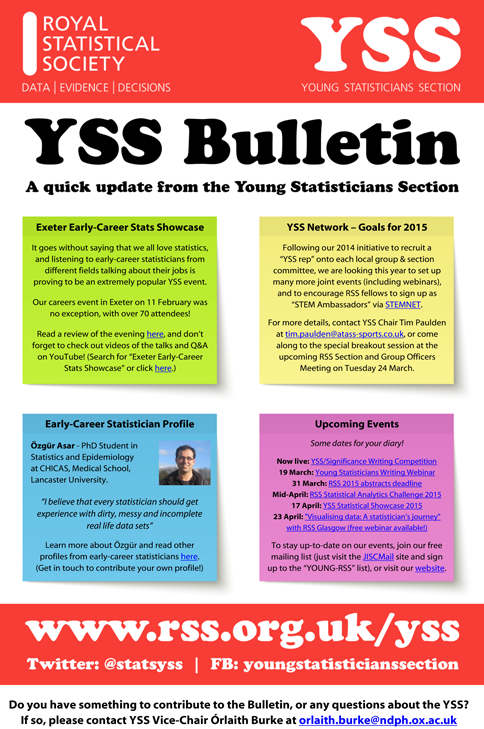 ANNOUNCEMENT – YSS Bulletin #1 released! 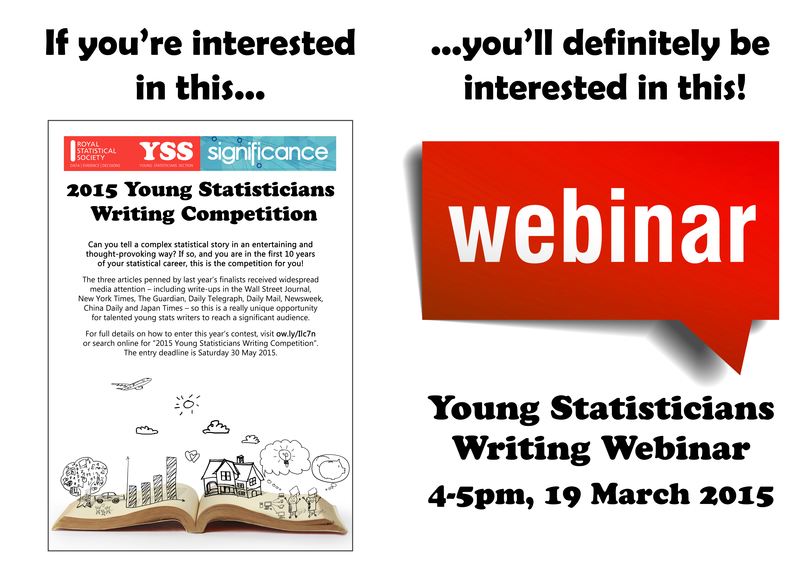 For example, did you know that this year’s Young Statisticians Writing Competition is now live – and that we’re running a free webinar on Thu 19 March on how to make your statistical writing more engaging and accessible? Or that registration is now open for our 2015 Statistical Showcase careers event in London on Fri 17 April, with talks spanning a range of fields including medicine, finance, sports, technology, environment, government and consultancy? Final reminder that the Young Statisticians Writing Webinar takes place on Thursday 19 March at 4pm GMT. 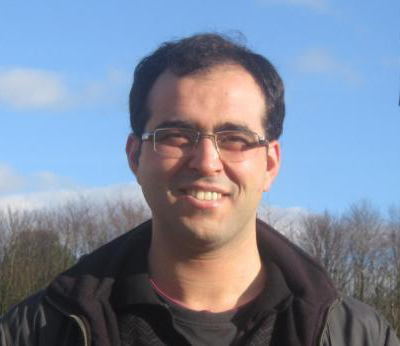 Young Statisticians Writing Webinar, 4-5pm on Thursday 19 March 2015! Are you interested in the 2015 Young Statisticians Writing Competition, but don’t know where to start, or need a little extra motivation? Or are you keen to learn more about making your statistical writing accessible? If so, the Young Statisticians Writing Webinar is for you! The YSS will be hosting a free one-hour webinar at 4pm (GMT) on 19 March 2015 covering everything you need to know to start writing. Three fantastic presenters will be sharing their experience and advice, and you will have the chance to ask them any burning questions you have relating to the competition, or any more general queries you have on making your statistical writing jump off the page. Brian Tarran, the editor of Significance magazine, will summarise all the details of the competition, including its purpose, as well as general tips on what the judges will be looking for. Jonathan Auerbach, last year’s competition winner, will add his perspective on how he came up with his idea and the approach he took to writing it up. Robert Matthews, an experienced science writer, will finish off with some general pointers about how to explain complex scientific and technical details in an accessible and engaging way. Anyone can comment or ask a question ‘live’ over the phone or simply use the message facility on the web-based conference system. We hope you will be able to dial in for what promises to be a very lively and thought-provoking discussion! Note: Videos of the talks and Q&A from the event are now on YouTube – click here to view! It goes without saying that we all love statistics – and it is unsurprising that listening to early-career statisticians talk about their jobs is proving to be a very popular event. 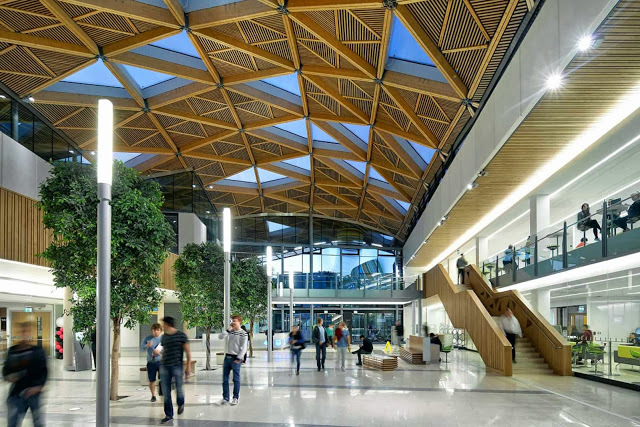 The first Exeter Early-Career Stats Showcase on Wednesday 11 February 2015 was no exception, with over 70 attendees coming along to hear about the wide range of career paths undertaken by career-young statisticians in the South West. The event was jointly organised by the YSS and the Exeter Initiative for Statistics and its Applications (ExIStA), with pre-event coffee and biscuits provided by Select Statistics, and wine and cheese for the post-event networking provided by ATASS Sports. Eight enthusiastic career-young statisticians spoke at the event, with each having exactly eight minutes to talk about their career, and current and future trends in their area – with a TED-style countdown timer ensuring everyone kept perfectly to time. Tim Paulden, Chair of the YSS Committee, opened the event with an entertaining introduction to ExIStA, the YSS and upcoming YSS activities – with some none-too-subtle hints for attendees to enter the recently launched YSS/Significance Writing Competition! Tim also mentioned the YSS activities planned for the upcoming RSS Conference in Exeter (September 2015) and highlighted the benefits of the free RSS e-membership now available for students. After opening the event, Tim then handed over to the eight speakers. The first speaker was Danny Williamson, a Lecturer in Statistics at the University of Exeter, who talked about “the exciting life of an academic statistician”. He included an overview of his work on climate models and mentioned the many sunny and exotic conference locations he has had a good excuse to visit! Dr Ven Perera, an applied mathematician from The Learning Clinic, followed with a talk entitled “The Virtual Hospital”, focusing on his work improving healthcare by developing treatment models for use on a tablet. Audience members then learned that sports statisticians have to do more than just watch sports, from Grace Stirling of ATASS Sports, who explained how “dynamic, data-rich and difficult” the statistical modelling of sports can be. Dr Tom Fricker, a Statistical Consultant from Select Statistics was next to speak, and walked us through his career path from academic to industrial research to consultancy. He contrasted the highs and lows of research and consultancy, and told participants more about gaining Chartered Statistician Status with the RSS. Dr Travis Coan (Lecturer from the University of Exeter Politics Department) followed up with an overview of his career trajectory, his current work with Q-Step and the challenging world of teaching statistics (particularly R!) to social science students. Next, Laura Pankhurst from NHS Blood and Transplant gave a very interesting talk on the importance of statistics in organ donation and transplantation. She presented examples of projects she had been involved with, and explained how her employment had followed on directly from an undergraduate placement year. Chrissy Donaldson from Sparx spent her eight minutes telling us about how she came to choose a Mathematics degree, and her subsequent move into working on educational software for teaching mathematics. For two minutes of her entertaining talk, Chrissy challenged the audience to find a good way to explain adding fractions to children. Finally, Roger Harbord, a Verification Scientist from the Met Office, closed the presentations by taking us through his varying career, ranging from physics through market research to medical and finally to climate research. The presentations ended with a lively 20 minute Q&A session in which audience members had an opportunity to direct questions to the panel about careers in these various areas, which developed into a wonderful back and forth between the audience and the panel. The event finished with an opportunity to network with the speakers and other participants, cunningly disguised as a wine and cheese reception. The audience members were a diverse crowd, spanning the whole range of the ‘early-career’ definition from sixth-formers through to established researchers, which made for a very interesting mix of conversations. Feedback from the event was resoundingly positive (and hopefully this was not just the wine talking!) In particular, there was praise for the excellent timekeeping (it was quite a timer…), the broad range of speakers, and the opportunity to learn so much about the statistics world of the South West within just a couple of hours. This is is not the first event of this type to receive such high praise. Last year, the YSS helped to organise two other local showcases – one at the University of Manchester during the summer (led by Matt Sperrin), and one at Queen’s University Belfast in December (led by Lisa McCrink) – and both events were extremely popular and well-received. If you’re interested in attending such an event, our main “YSS Statistical Showcase” is being held on 17 April in London at the RSS Headquarters (Errol Street), with speakers already lined up from seven career streams: medicine, finance, sports, technology, environment, government and consultancy. Moreover, the event provides an ideal opportunity for networking with other career-young statisticians and employers during the coffee breaks, and of course the wine at the post-event reception! Registration is now open – visit the StatsLife event page here for details. Finally, if you are interested in running your own local Statistics Showcase, the YSS can help support you. Just get in touch for advice, help, and a “cheat sheet”! Review by Lauren Rodgers, YSS Committee. Event organised by Lauren Rodgers & Tim Paulden (YSS), and Sarah Marley (ExIStA).